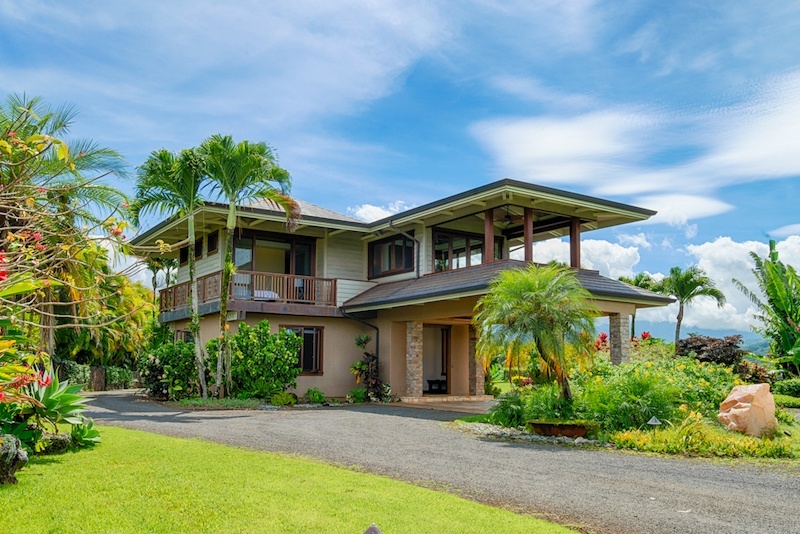 The main part of the home hosts four bedrooms, two on the lower level and two on the upper level, all with full ensuite bathrooms. 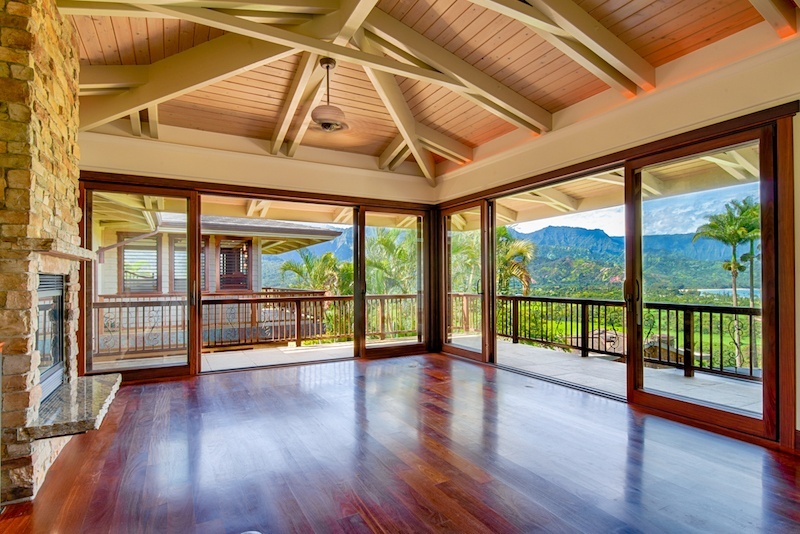 Centering the home is the kitchen, dining, and living area with an additional living space and lanai upstairs. 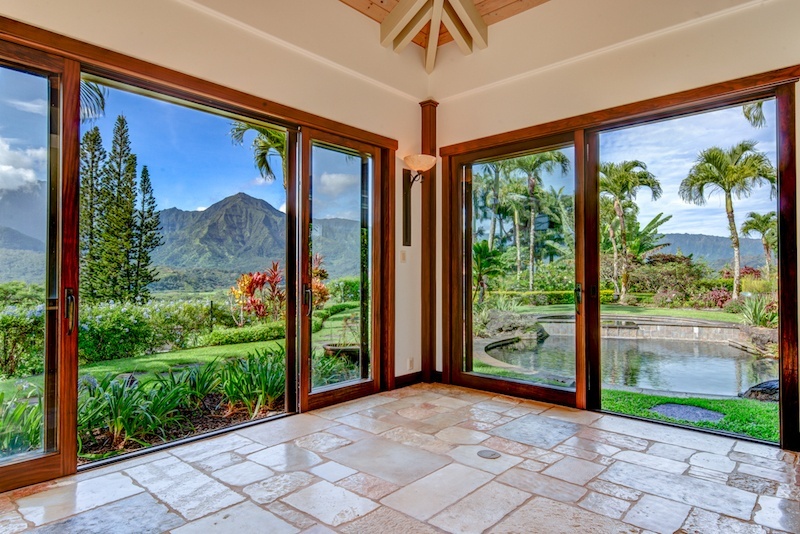 Every room offers magnificent views with large glass sliding and bi-folding doors setting the stage for ideal tropical indoor/outdoor living. 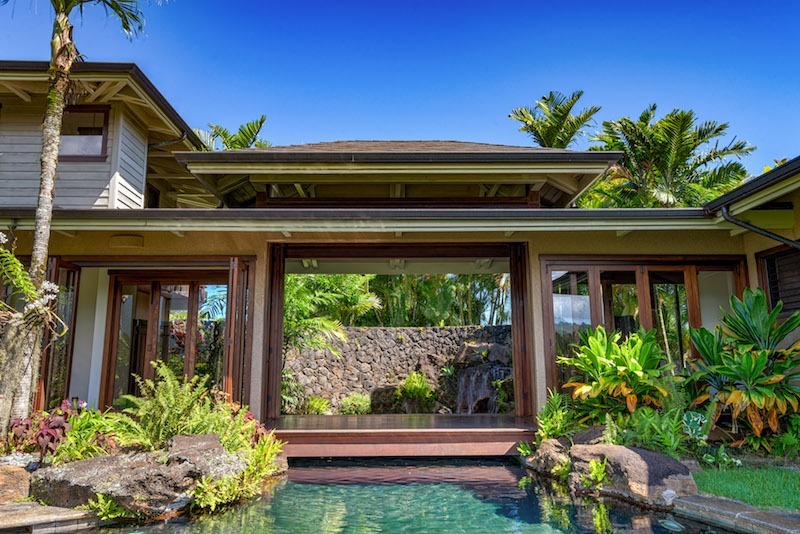 With the use of select stones and exotic hardwoods, the residence was constructed to withstand the elements while still presenting itself magnificently. 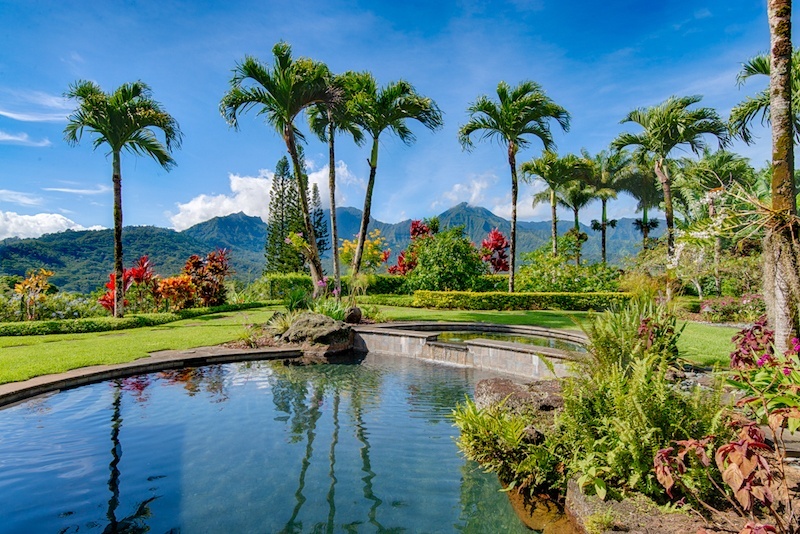 By way of a bridge over the pool, this two-story architectural treasure offers an additional private wing of the home that can be used as guest quarters or artistic studio space. 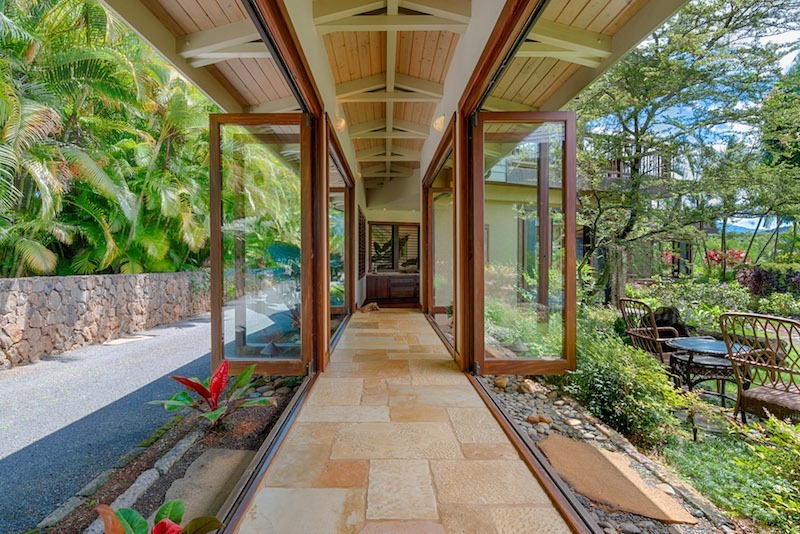 The lower level has an oversized entry area and media/theatre room. 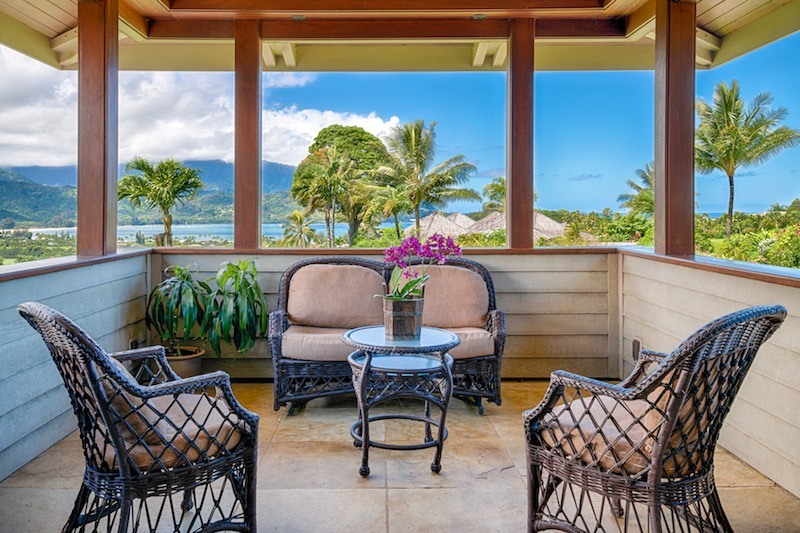 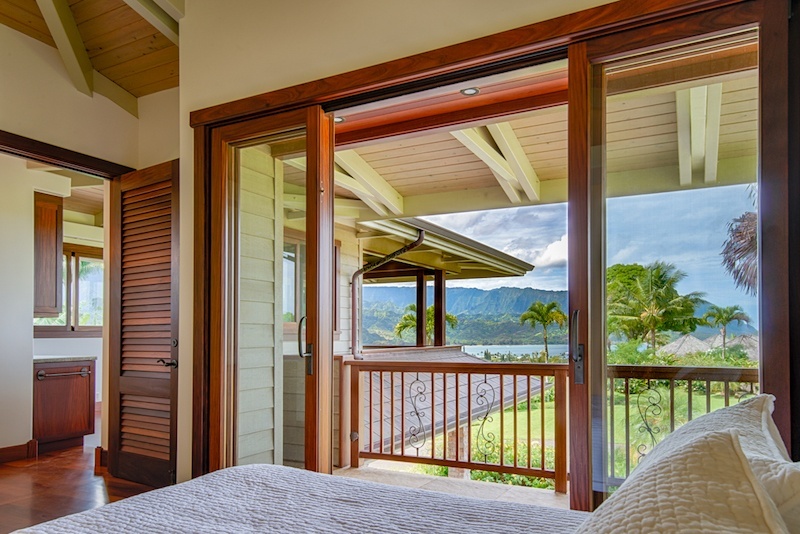 A set of stairs leads you up to another bedroom with an ensuite bathroom and sunset views from a large lanai that looks over Hanalei Bay. 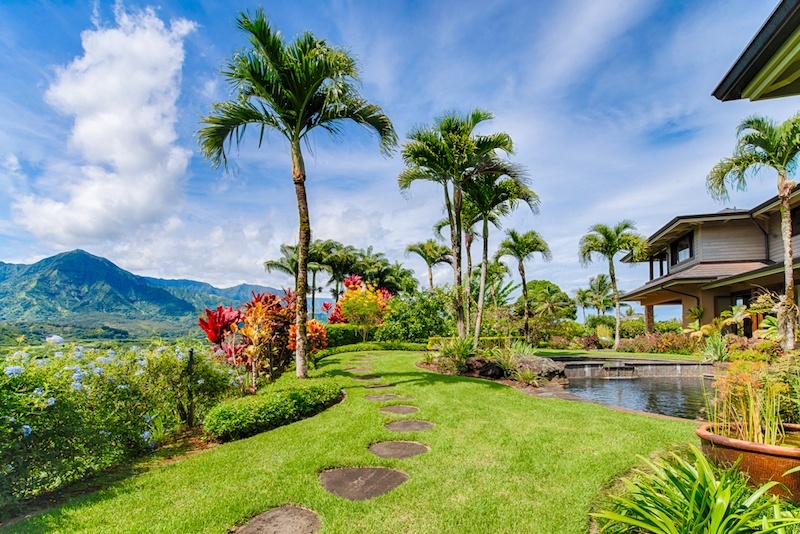 The exterior grounds are lushly landscaped and a rock bottom pool was remarkably designed to pass under the home, making for a small grotto and waterfall. 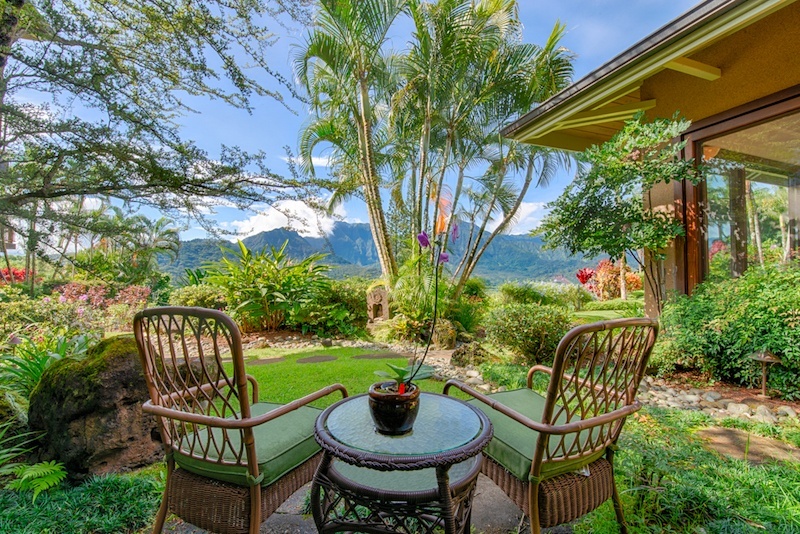 There are several sitting spots designed into the garden and a large open grassy space behind the three car garage. 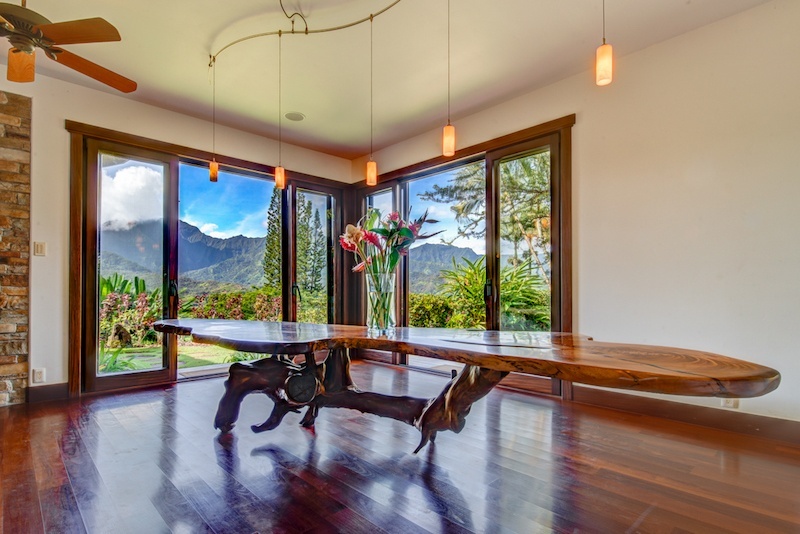 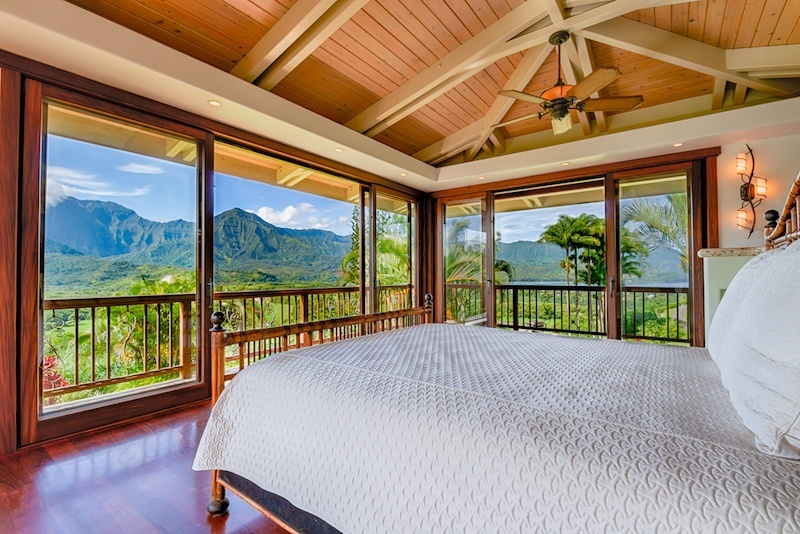 4951 Hanalei Plantation Road is one of only a handful of homes lucky enough to grace the ridgeline above Hanalei and as it is priced to sell, won’t be on the market for long. 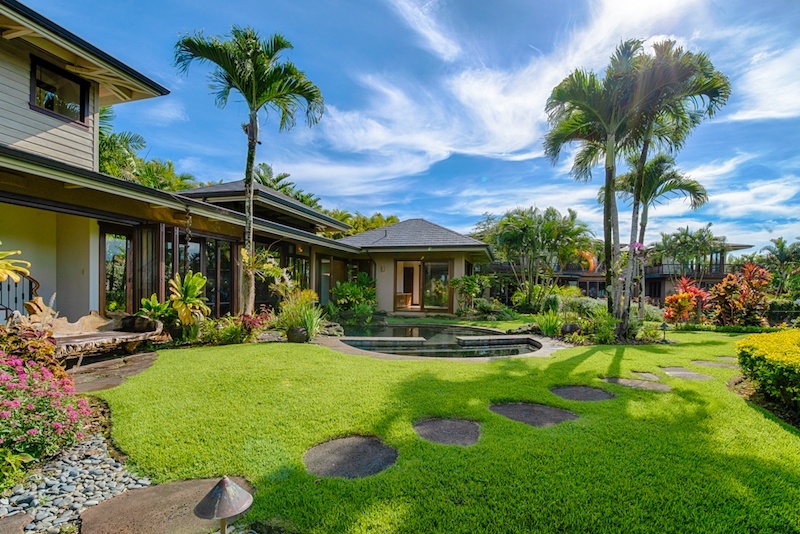 Please contact Billy or Amy if you desire a showing.